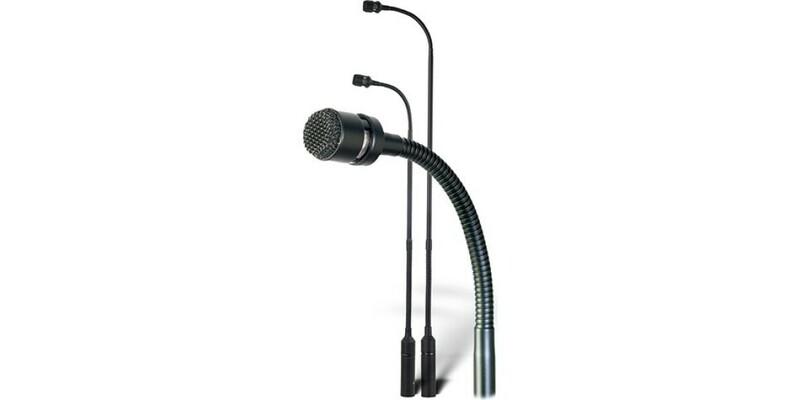 The Astatic 910B, 915B and 920B are low-noise, cardioid, condenser, mini-gooseneck microphones. 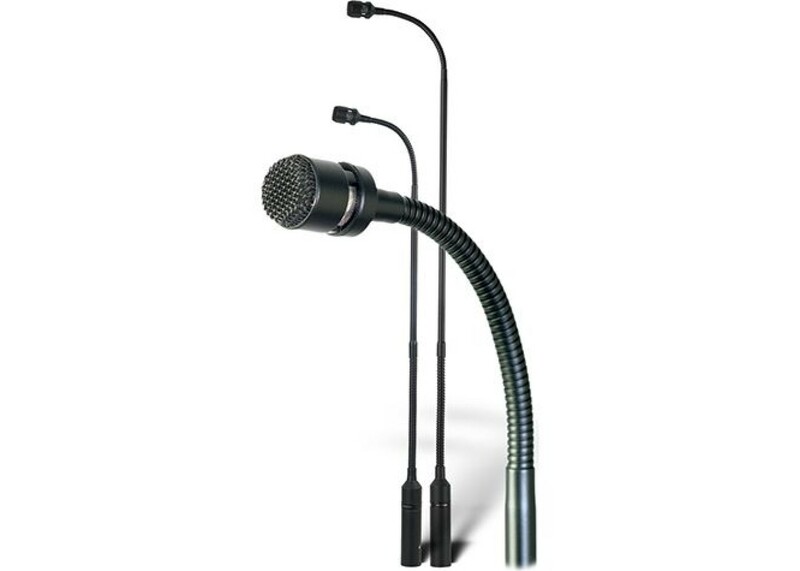 They are ideal for use in houses of worship, government, corporate meeting rooms and public address. Their wide, smooth frequency response characteristics provide natural, articulate and transparent sound. Their cardioid polar pattern minimizes annoying feedback when used close to sound reinforcement speakers and monitors, while reducing the pickup of unwanted off-axis sources. Their advanced, transformless electronics are self-contained to simplify installation. The Astatic 910B, 915B and 920B microphones include a solid center section with flexible goosenecks at the top and bottom. The top gooseneck is 1/4" [6mm] in diameter and the bottom gooseneck is 19/32" [8mm] in diameter. The 910B utilizes a single 1/4" [6mm] diameter gooseneck. The goosenecks are well-lubricated, silent in operation while maintaining strong positional memory. The overall length of the 910B is 10 15/16" [262mm], the 915B is 15 9/16" [395mm] and the 920B is 20 7/16" [519mm]. The durable matte-black non-reflective paint assures an unobtrusive installation. The foam windscreen is included. Standard P12, P24, or P48 phantom power is required. corresponds to positive voltage on pin 2 relative to pin 3.